It is Commission policy not to open public consultations in the weeks leading up to elections. Given the possibility of European elections on 23 May 2019, our Further Draft Recommendations consultation launch for Halton Unitary Authority has been postponed. An updated timetable for our review of Halton can be found above. The consultation on the Commission’s draft recommendations for Halton Borough Council closed on 11 February 2019. The consultation on the draft recommendations for Halton Borough Council has now closed. On 4 December 2018, we published our draft recommendations for the electoral review of Halton Borough Council. From 3 December 2018 to 11 February 2019, we are accepting opinions and comments (submissions) from the public on these recommendations for Halton Borough Council. 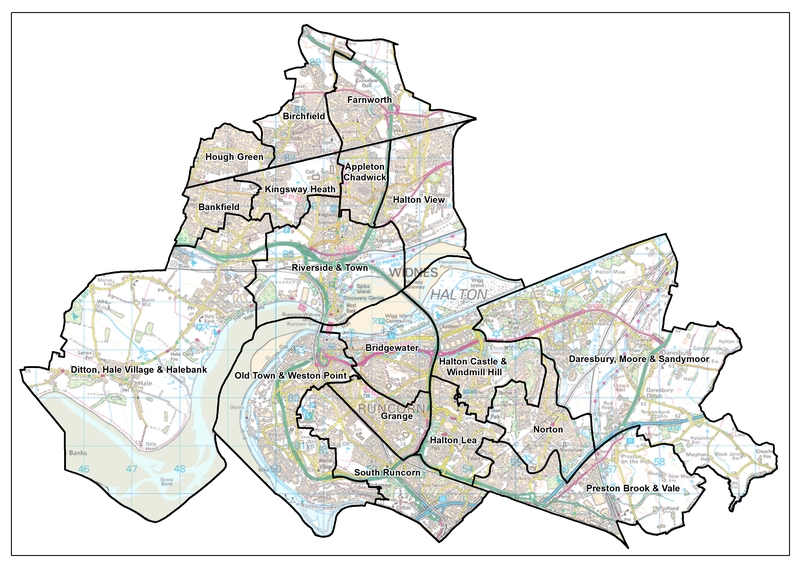 Draft recommendations map for Halton Borough Council - please note: this map is very large and may take some time to download. The consultation on the warding arrangements for Halton Borough Council closed on 3 September 2018. 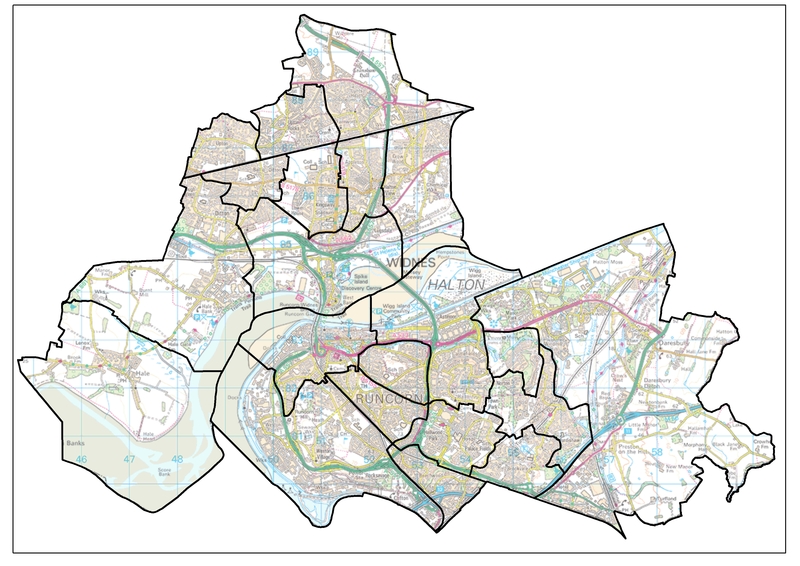 From 26 June 2018 to 3 September 2018, we are accepting opinions and comments (submissions) from the public on where you believe ward boundaries should be in Halton Borough Council. The Commission is minded to recommend that Halton Borough Council should have 54 councillors in the future. This is 2 fewer than the current number of councillors. 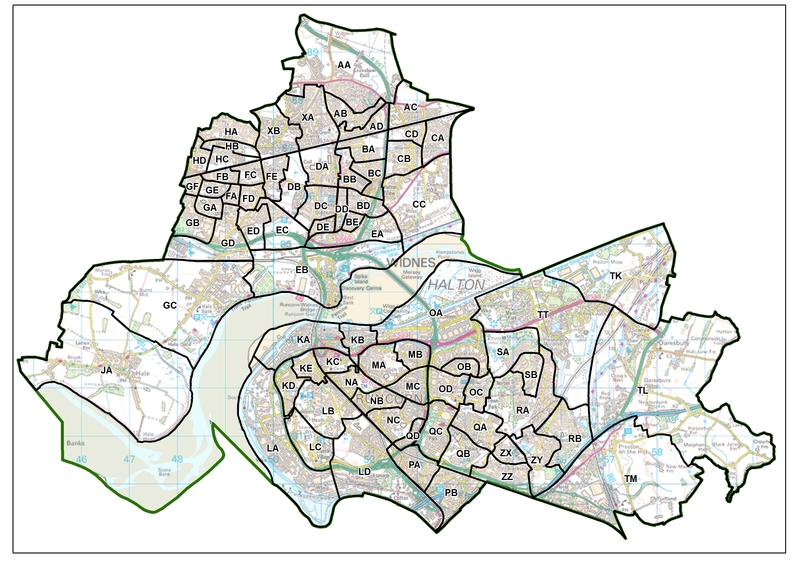 The Commission now needs information from people and groups across Halton to help it to produce new wards boundaries to accommodate 54 councillors. As part of the initial stages of the review, we consulted with Halton Borough Council on the most appropriate number of councillors to be elected to the council in future.